More like a 2.5 to 2.75. Reads more like a reference encyclopedia of techniques as opposed to an actual how-to book. There's some explanation of terms but not a lot of step by step instructions, (like here are the tools to buy, here's where to get your metals, etc. ), for people just starting to get interested in metalsmithing. 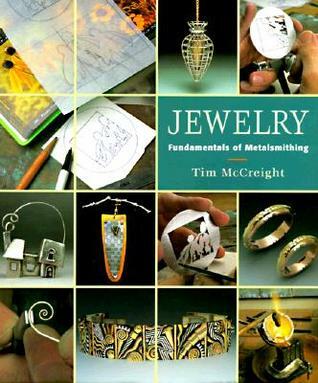 Read this in preparation for taking a metal jewelry course, so hopefully some of these techniques will become clearer once the class starts, but I wouldn't necessarily recommend this as a book to use to teach yourself metalsmithing. Had really interesting jewelry inspiration photos though throughout the book. Lots of information, but made me feel like pictures just won't be enough, I need to take a metalsmithing or jewelrysmithing class. Great starter book if you are looking to get into metals!